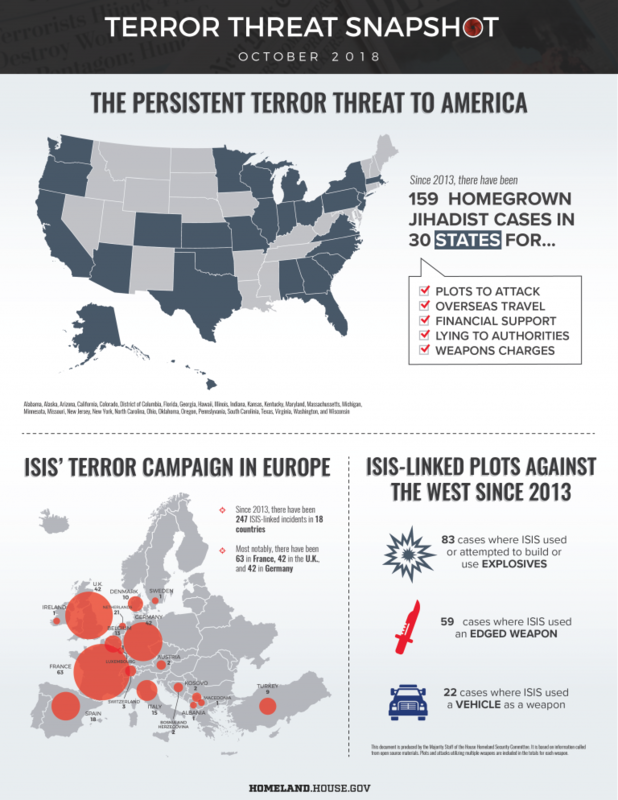 It isn’t pleasant reading or viewing, but In Homeland Security’s “October Terror Threat Snapshot: Homegrown Terror Cases in 30 States” makes for direly informative reading. 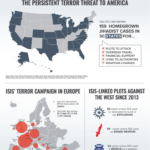 The post, you’ll find, discusses the monthly Terror Threat Snapshot report of the House Committee on Homeland Security, with a link thereto. The post is a pertinent homework assignment. U.S. security requires awareness of what may be afoot. You can find the House committee’s Terror Threat Snapshot here.